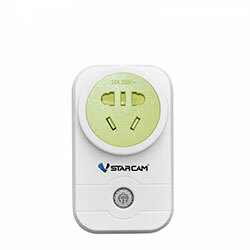 1.Does VStarcam product support 5GHz WiFi? Most products are configured to support 2.4 GHz Wi-Fi network mode; however, we are developing more and more products that support 5 GHz. 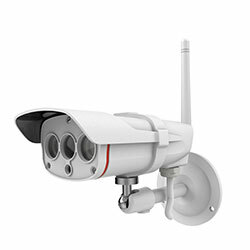 Currently, only the 4.0 megapixels camera C22Q support 2.4/5 GHz Wi-Fi network mode; All other security cameras support only 2.4 GHz Wi-Fi network mode. 1.Download the mobile APP Eye4 to your smart phone. 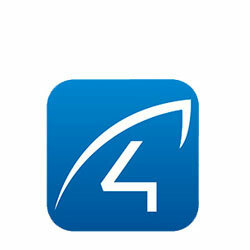 Eye4 APP is available in Google Play and APP store. 2. Register an account, take down the account name and password, for future login. 3. Login the Eye4 APP account which you have registered. Power on the camera, wait until the camera boot up(it takes about 20 seconds). Press the “+” sign on the top right corner to begin the process of adding your device. From the device sticker located on the back/bottom of the camera, scan the QR code or manually input the UID number&password of the device. Follow the wizard to add your device to your Eye4 account. 3.How to download video clips from SD card? We can download video clips from SD card on mobile APP Eye4. To do that, we can open the app Eye4, click the setting icon on the top right corner of the camera, choose ‘TF Card Records’, tap the video clip you want to download, and click the arrow on the right side of the video file, to download it. After being downloaded, on ios phone, the video will be stored to your phone’s album, on android phone, the video will be stored to your phone’s File-DCIM-Eye4 directory. 4.How to report your problem to VStarcam Support Team? If you have downloaded VStarcam APP Eye4, please login the APP, click ‘Me’ at the bottom right corner, go to ‘Online support’. 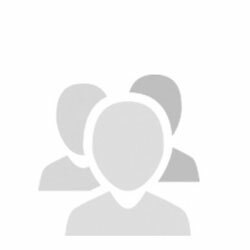 The support engineers are available during Monday to Friday, 8:00~12:00 am, 1:20~5:50 pm(UTC+8). 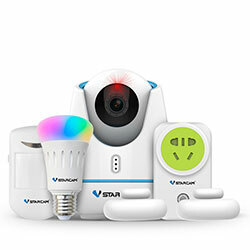 Go to VStarcam official website https://www.vstarcam.com/ and click the ‘support’ icon on the right panel of the home page, you will be redirected to support window. 5. If possible screenshots or short video to explain the problem. 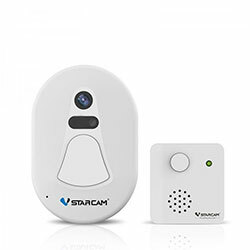 5.How to reset the VStarcam security camera? Hold the reset button for 5-10 secs; For indoor cameras, wait for the voice prompt informing you that the device has been reset successfully. Outdoor cameras will not give you the voice prompt, but will issue one slight clicking sound after being reset successfully. Generally, reset takes about 1-2 mins. 6.What should user do if can't receive alarm notification in app? 1) Ensure the phone signal is good and internet connection is ok.
2) Ensure that this feature has been enabled in the Eye4 app. 3) Ensure the Eye4 app is running in front or background of the phone. 4) Ensure the Eye4 app is not blocked from sending notifications by any anti-virus installed on your mobile phone. 5) Ensure notification for Eye4 app has been enabled in phone setting. 1.APP for PC client: Please uninstall the APP(completely remove it from your computer’s local disk, desktop and control panel→program), then download and install it to a different location and then login APP again. Note：Please don’t use the default installation path when download and install the eye4 software, choose a different disk to place it. 2.APP for Smart Phone: Please uninstall the APP, then download and install a new one. please check whether the APP is blocked by any security softwares, such as Security steward, 360 anti-virus software etc. This problem can also be caused by the server, so if the above two methods don’t work, please wait for the sever to be repaired and try again later. Thanks! Step 1. To reset the camera to factory settings by referring to the reset guide. Step 2. After that, please re-configure the camera’s wireless according to the new WiFi network. Note: Before configure the camera to the new WiFi router, we need to reset the camera to factory default. The problem of camera reboot automatically from time to time is generally caused by network or firmware problem, not caused by hardware. Please check whether there is IP address conflict. Please download IP Camera Finder from the webpage (http://www.eye4.so/download/), then open the Finder, to see if the IP address is the same with other cameras in camera list. If the IP address conflicted with other cameras, please modify the IP to a different static IP or change it to dynamic ip. If the above methods does not work, it probably caused by hardware problems, please contact the direct dealer for maintenance. If the time on the camera displayed incorrectly, firstly, please make sure the camera is not connected by users from other time zones. Secondly, please download the latest version of mobile APP and upgrade the firmware of the camera to the latest version. 11.Can we setup wireless connection remotely? In PC client, we can setup wireless connection remotely. You can refer to chapter 8 in the [IP Camera PC Client Function Detailed Instructions](page 9 to 10) to setup the WiFi. However, in mobile APP, we cannot setup WiFi connection remotely. Generally speaking, the cause is that camera can not access the Internet, please check whether the wireless router which the camera connected to is working properly. Make sure that you can access the internet when connected to the WiFi router. 1.Check LAN connection. If you can view the camera in PC client, mobile APP and web client, that means the LAN connection is fine. If you can’t view the camera in LAN, then we can’t view it in WAN. 2.If the camera can be viewed in LAN, please switch to mobile network, check whether the camera can be viewed normally. 3.If the camera cannot be viewed in mobile network, then please change a router to test again. 4.If the camera still can’t go online remotely after changing router, then it must be a problem of the camera’s PNP penetration. It is recommended that take the camera to other network environment to have a try, for example, your friend’s network. 5. If you can view the camera normally in other network environment, that means there is a problem with the local penetration of the camera. Then we can not use the UID to access. In this case, please contact the dealer for help. 1.Please make sure the camera get the latest firmware and the APP is the latest one. If not, please update the firmware and APP to the latest version. 2.Generally speaking, the issue that the camera can be connected and viewed in LAN, but can not in WAN is cause by software or server, instead of hardware problem, no need to return to factory for repair. 1.Reset it to factory default settings, re-configure it and try again. 2.Upgrade the camera to latest firmware. 3.Run the camera in other client, such as PC client, mobile APP, Web client, if all operations failed, then it must be hardware problem. If none of the above methods work, then please contact the dealer for replacement or maintenance. 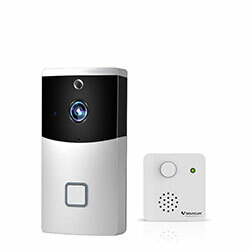 Linkable alarm: linkable alarm cameras with door sensor etc. Open the App, choose your camera, click on the on the right corner of the cameraSettingsAlarm, make sure the ‘ Motion detection alarm’ has been turned on.2. The alarm of linkable alarm cameras is enabled by default, what you need to do is to choose ‘Notification type’. If you want to get alarm message on the app, please enable the ‘client’. 1. Open the App, choose your camera, click on the three dots on the right corner of the cameraSettingsAlarm, open the ‘client’.2. Choose Notification Mode: Generally speaking, there are two notifications modes can be choose, one is Client notification, the other is Email notification. 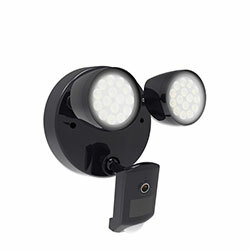 Motion detection alarm on alarm cameras: only need to set Notification Mode. The alarm of Linkable alarm cameras is enabled by default, we can turn on/off the alarm. Enable notification push: please enable “Message Notification” of the eye4, ( this setting can be done directly in IOS devices, but on Android devices, we need to add the eye4 to the white list of the anti-virus). 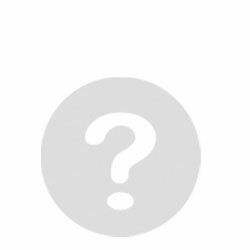 Email Notification: Enter the Email address, save it and follow the guide to click the activate link to activate the mail, then you can receive alarm mail. If you don not get alarm mail, please check “ spam folder’, to see if the alarm mails are there. 3. Alarm record. Go to the“Message”center to see records of alarm. Currently, it can record about 100 alarm messages. When it is full, the original alarm message will be covered. 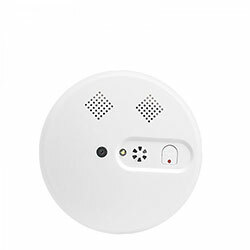 Generally speaking, the issue that can not receive alarm notification is caused by software, instead of hardware. Please upgrade software to the latest one or wait for the server maintenance. 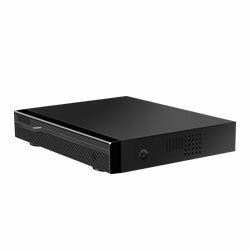 15.Can SD card automatically start recording after inserted?Can it record when no internet connection? 1. At present, C series, D series, E series. After inserted the SD card, the camera will automatically start loop recording, and will automatically overwrite the old recording files when full, do not need to do extra settings of recording. If you want to cancel the recording, on the smartphone APP, please go to ‘Settings→TF Recording’, change the ‘Recording Mode’ to ‘No recording’. Or you can untick the ‘Record with 24hr’on the PC client. If you want to set the recording time, please use the smartphone APP, PC client or Web client settings. Please go to ‘Settings→TF Recording’ ，tap the ‘Add Schedule’ to set time schedule of recording. Click the ‘Settings→Camera Parameters’, click the ‘get’ to obtain the camera’s parameters, then click on the ‘Record’ on the left of the ‘Camera Parameters’, tick the ‘record→scheduled recording’, choose ‘Add’, then you can set the time schedule of the recording. 2. Can it record when no network connection? Case 1. The camera has been connected to your router wiredly or wirelessly, but can not access the internet, in this case, the camera can record videos. 16.What should I do if the client/APP keep crashing? 1.Uninstall the APP, download and install a new one in google play, apple store or our official website : www.eye4.so/download . 2.If the above method does not work, please make sure there is no anti-virus software on your phone, such as 360 anti-virus. If there is, please add the APP to the white list of the anti-virus software and then try again. 3. If it still does not work, please try on another phone. If APP works good on another phone, that means the problem is caused by the previous phone. If the issue is the same as on the previous phone, then the problem must be caused by the APP. Please contact us for more support. 2.Please do not save it to the default path when install, save it to another disk. 3.Close the anti-virus software on the computer , then try again. 4.If the above solutions cannot help, please contact us online. Please reset the camera to factory default settings, the default password of the camera is 888888. Power on camera, then find out the camera “ reset “ hole, use a pin or pencil to keep pressing the button for about 15 seconds until camera reboot, then the camera will be reset successfully. 2.Outdoor camera’s “reset” button (without Pan &tilt): on the power cable. 1.Currently, there is no way to retrieve account name of PC and mobile APP, it required to register a new one if you forgot it. 2.If you forgot the password, click “ Forget Password “ in Eye4 APP in PC or Phone, enter the email account bound the account, then you will get a verification mail, please follow the system prompts to change the password. Note： If you can not get the verification mail, please contact us. 19.How long does the SD card record? The following data is based on the test of video duration calculation of 64G TF card. The results will be different in different scenarios. For example, the space of recording for static and dynamic picture are not the same. If you set different parameters, the results may different. The data is calculated on the camera’s default stream settings, just for your reference. 1. It can record 16 days when C38 is in 720P mode. 2. It can record 18 days when C7815WIP is in 720P mode. 3. It can record 14 days when C37A is in 960P mode. 4. It can record 10 days when C50S is in 1080P mode. 5. It can record 8 days when C38S is in 1080P mode. Note: You can choose high-bit stream or low stream image, they take different amount of capacity. You can setup the video stream in the IE web interface of the camera(Camera parameters-Video record-SD card record). Step one: Confirm basic info required. 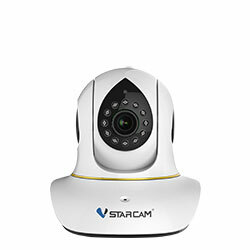 The basic info includes Username and Password of the camera, LAN ip address and RTSP port number(the default RTSP port of VStarcam camera is 10554). How to get the LAN ip address of the camera? After you launch the finder, you will find the ip address of the camera on the right side of the finder(make sure the camera is in the same Lan with the computer that installed this finder). Of course, you can find the IP address by other ways such as logging into your router’s web interface and find the camera’s IP. Download the VLC player from the internet, launch it, go to Media—Open the network stream—input the RTSP link to the ‘Input the network URL’, the URL should be as rtsp://camera’s username:camera’s password@camera’s lan ip:10554/udp/av0_0 , for example, if your camera’s user/password are: admin/888888 and lan ip is 192.168.1.126, then you can use the following URL to access the camera in VLC player. Make sure the URL has been correctly input, then click on ‘play’, you will get live video. Please note that the RTSP works only in LAN, does not work remotely. 21.How to manually setup WiFi connection for the camera? Step 1. Wired the camera to the router. Step 2. Add the camera to the APP by ‘input manually’ way: Tap the “+” in the APP, select the ‘IP camera’ –’input manually’, to scan the QR code of the camera (which can be found on the label stick to the camera), input the camera’s password(default password is 888888, if you have ever changed it, please input the new password), make sure the video feed can be seen after that. Step 3. Please make sure the SSID is not hidden and no space in the SSID nor the password. Step 4. Make sure the wifi is 2.4Ghz. Before setup the WiFi, please call the router support and internet provider, make sure the WiFi is 2.4GHz band, not on 5GHz band. If the WiFi is on 5GHz band, the the VStarcam camera is not able to connect to the WiFi. This is very important. Step 1. Click on the three dots on the top right corner of the camera, go to ‘Settings’. Step 2. Go to WiFi. Step 3. In the WiFi settings, choose your home WiFi and input the WiFi password. 2. The length of the password is not more than 31 characters. Make sure the router password you input is correct and accurate, otherwise it cannot connect. Step 4. Pay attention to the prompt and click on ‘confirm’. Step 5. Unplug the LAN cable from the camera, and wait for the camera to finish the reboot automatically. After about 2 mins, you can check if the camera is working wirelessly. 22.How to record sound to SD card? The function of recording sound to SD card is turned off by default. Open the APP on your smart phone, go to the home page and find the camera, click the three dots on the right corner of the camera, go to ‘Settings-TF Recording’, to enable the ‘Record Sound’. 23.How to Set Email Alarm on Mobile Phone APP? Step 1. Find the Alarm option. Open the APP, in the homepage of the APP, tap the three dots on the right corner of your camera, go to ‘ Settings’→Alarm→Notification Type. Step 2. Add mail address. Go to ‘Mail notification’ and put in your email address, press ok. Step 3. Verify the mail. Please login your mailbox and you will find the verification mail with a link. Click on the link to verify the mailbox. It will show successful verification. After that, you will see that it shows the mailbox has been verified. When there is alarm triggered, you will get alarm mail(without snapshot). 24.How to setup a static ip address and port for the camera? We can setup static ip address and port number for the camera via IP Camera Finder. Step 2. Open the finder, and find out the camera in the left side. Note: The finder can only detect the cameras in the same network with the computer, so please make sure the camera is connecting to the same network with the computer. Step 3. Highlight the camera, find out the ‘Network’ menu on the right side, click on the blank on it’s right, select the ‘Fixed IP’, then you can edit the ip address, sub mask, gateway and DNS. Please make them in the same segment with your home network. Note: you can also change port number in this page(change it in the ‘HTTP Port” menu). After finish the settings, click on ‘Apply’ to save the settings, put in the camera’s username and password. The default username is admin and password is 888888. If you have changed the password, please put in the new password and press ok, then it would work. 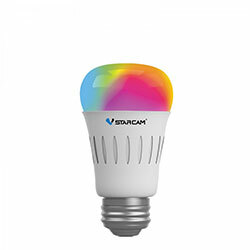 25.How to turn off camera’s IR light? You can do that on mobile APP Eye4. After connected to the camera, in the homepage of the APP, click the three dots on the right corner of the camera, enter ‘ Settings’, tap the ‘Video’ tab, set the ‘Night mode’ as ‘OFF”, that’s it. 26.How to Upgrade the Camera’s Firmware? Please note: The way to downgrade is the same as the upgrade. Method 1: Upgrade the firmware via smart phone APP. Step 3 In the homepage of the APP, click the three dots on the right corner of the camera, choose ‘Settings-Firmware, if there is newer firmware for your camera, then you can tap the ‘upgrade’ arrow directly and it will start to upgrade firmware. Please don’t power off the camera while upgrading, unless it would be bricked. Method 2 Upgrade it via IP Camera finder. Step 2. Open “IP camera finder”, it will detect your camera and the camera’s IP address and port will be shown in the lower section of the left side；Highlight the Camera IP. Step3. Click the ‘Smart upgrade’ tab on the right side of the camera, enter the correct password of the camera and click upgrade, it will upgrade to the latest firmware automatically. Please don’t power off the camera while upgrading, unless it would be bricked. 27.IP camera screen blurred , color cast? 1.Please reboot camera a few times, or restore cameras to factory default settings, after that, it will be back to normal. 2.If the problem occur again and again, then it probably cause by camera’s sensor problem, please contact dealer or salesman for maintenance or replacement. 28.What is the recommended wireless distance between Camera and Router? The distance depends on the wireless signal strength of the router. 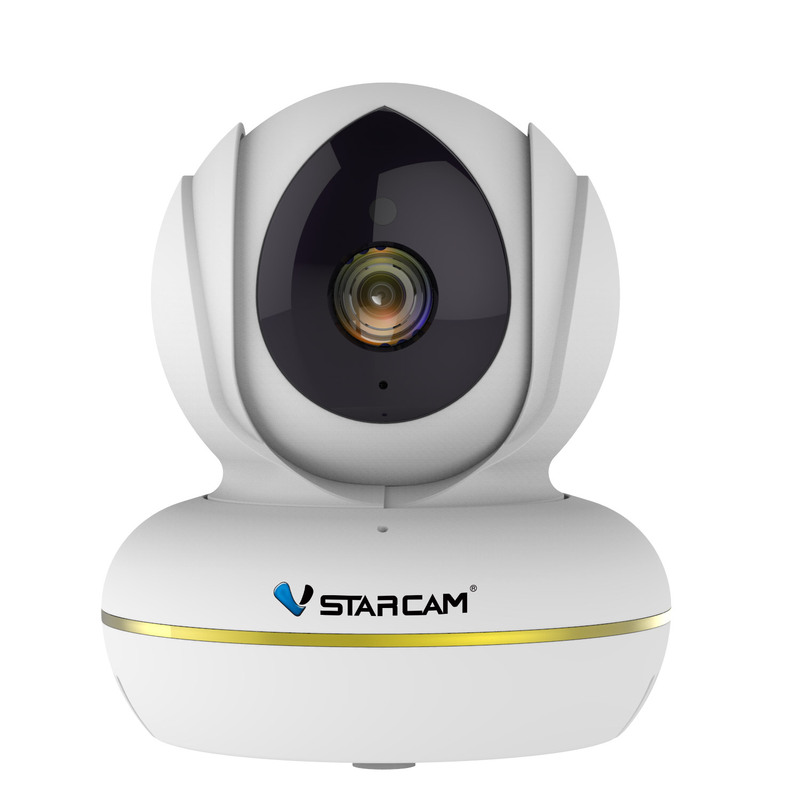 1.At present, VStarcam IP cameras support 2.4G frequency bandwidth wireless router, don’t support 5G frequency bandwidth. 2. It is recommended to keep the distance within 10 meters. If the wireless signal of the router is weak, please connect the camera to the router with a network cable. Otherwise, It will make the camera offline. 1.Test it when the phone is 8 meters away from the camera, to reduce whistle between them. 2.Turn the volume of the PC and Phone Client to the maximum. 3.Ensure the camera is in good network environment. 4.If you want to turn up the volume, you can do that on the mobile APP Eye4(Settings-Device volume). Note: Sometimes, when you open the Audio and Talk function, the sound will be stuck cos of bad network condition, this is normal, please don’t worry. 30.What languages does the APP support? Simplified Chinese, Traditional (distinguish Hong Kong and Taiwan), English, German, French, Russian, Korean, Japanese, Italian, Spanish, Dutch, Vietnamese, Portuguese, Thai, Polish. 31.What should i do if the camera shown offline? Please check whether you can view the real-time video when in the LAN. If you can, that means the the network connection in LAN is fine. If you can’t, then please check if the camera has been connected to your home network. If the camera is wired connected, please check if the two LEDs on the ethernet port are on. Please make sure the cable has been plugged firmly and the camera can be detected in LAN. If the camera is wirelessly connected, then please wired the camera to the router, check if it still shown offline. If the LAN connection is fine, then please check if you can surf the internet when connected to the home WiFi and mobile data. Please check this in multiple APP client, such as PC client. If you can surf the internet when connected to the router’s WiFi and the mobile data, that means the internet connection is ok.
2) Check APP version, if the version of the APP is not the latest, please uninstall it and download the latest one. Official download link: Http://www.eye4.so/download/ ,you can also download the app from google play and apple store. If the above steps do not work, then please take the camera to other network to test. If it works good in other network, then this problem must be on the PNP penetration. Please contact our support team. 32.SD card is not being recognized? 1.Check whether it is inserted in the opposite direction. 2.After inserted, click “format SD card” (format it even if you cannot check SD card’s memory size), reboot camera and refresh it. 3.Please plug the SD card to a card reader, then plug the card reader to a computer and format it to FAT32 format. 4.Make sure the card is working, you can test it on other camera or devices. 5.If the above steps do not work, please change a SD card,(please use genuine SD card), For example, Kingston SD Card, Class 4 and 10 is preferred. 1.If the above methods does not work, you can check the SD card slot on the camera and the SD card. If it proved to be hardware problems, please contact the dealer for replacement. 2.Besides, please make sure the camera’s firmware and the APP is in the latest version. If not, please update to the latest one. Copyright © 2019 VStarcam Support All Rights Reserved.